Tablescape at the end of a long, shared meal with my dear friend Marianne. 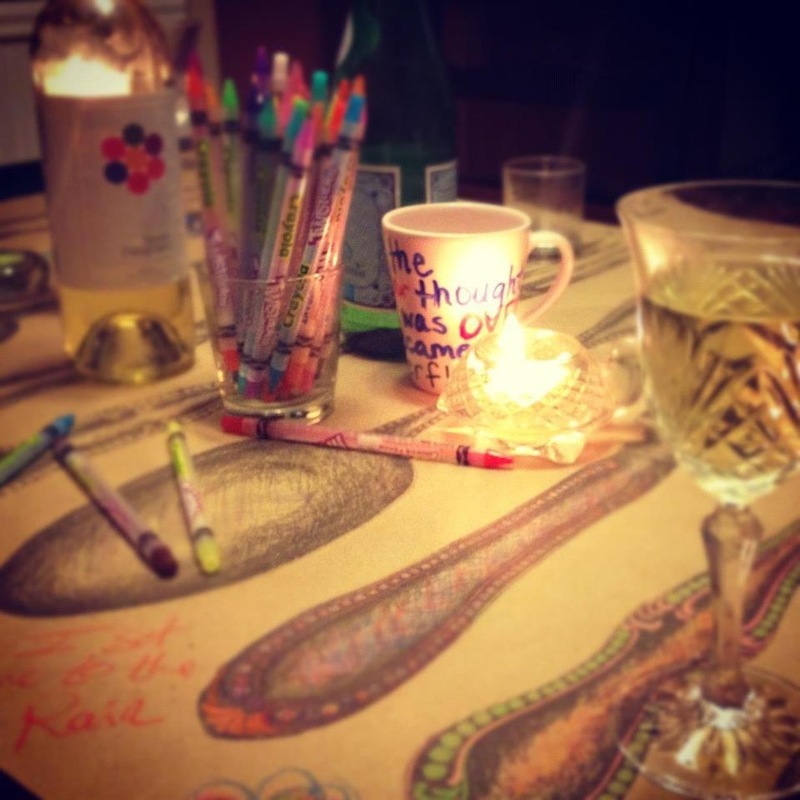 Almost every shared meal at my home has colored pencils (and a colorable table covering) at the center. What if there were such a thing as you and me and another around a common table? The thing is I know you and you know me well enough to laugh and joke and easily smile, but this other is different, unknown. Smiles come forced and small around the other, constant wonderings of “am I being polite enough”? Would mama approve of the niceties being exchanged among you and me and another? What if you and me and another gathered around a common table? What if you and me and another gathered ’round a common table and shared in our own version of Eucharist as we tore in to a home-cooked meal and drank a local wine? What if in and through wiping sauce off mouths and groans of deliciousness you and me and another found something in common? A love for hiking or a book or the bond that we have all once loved and lost? What if over bread and wine you and me and another open-wide with toothy grins and tentative hearts and just as with flour, salt, and yeast–three very different things–become something better than our individual parts? What if you and me and another become us? Shortly after the untimely death of one of my favorite college professors, Dr. David Duke, I bought myself a small cactus to remind myself that life is prickly sometimes. When I moved into my current house after my divorce the previous owners left a plant on the kitchen windowsill–a cactus. 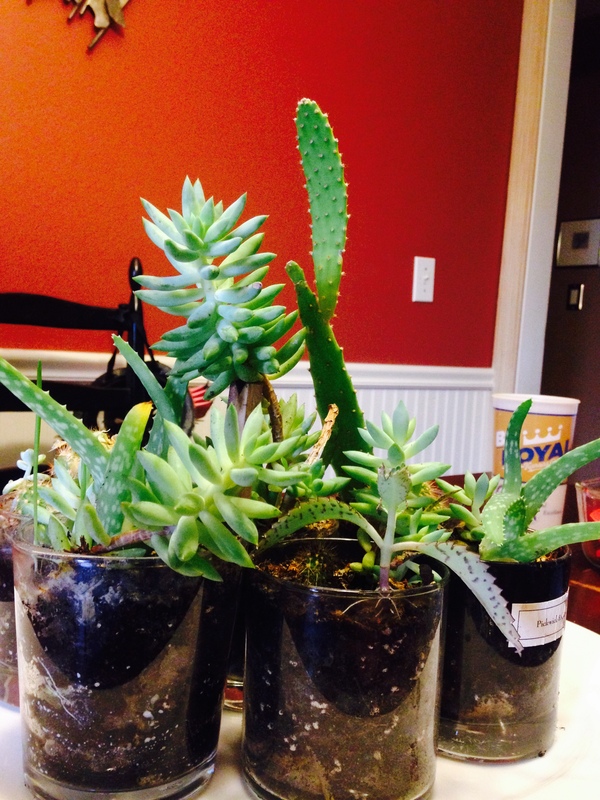 This centerpiece is a reminder that this has been a particularly prickly year…and all will be okay, beautiful even.